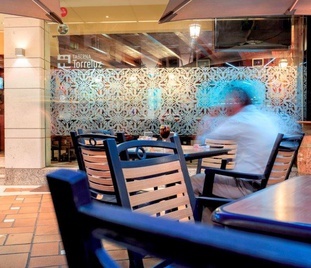 The Nuevo Torreluz Hotel is a modern and recently refurbished hotel in the centre of Almeria with a privileged location in Las Flores square, comfortable rooms and fully equipped meeting rooms for events and all type of celebrations. 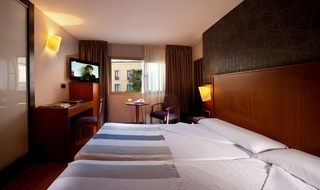 With a unique gastronomic service in Almeria, this 4-star hotel in Las Flores square of Almeria offers you the possibility to taste the best of this Andalusian city at an exceptional quality price ratio. Come to live an unforgettable relaxing experience and a unique personalized attention at our hotel in the centre of Almeria. 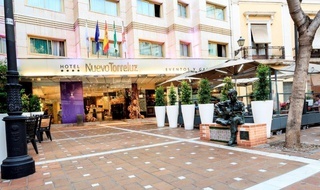 Book now a hotel with a fabulous location in Almeria on the official website of the Nuevo Torreluz Hotel. 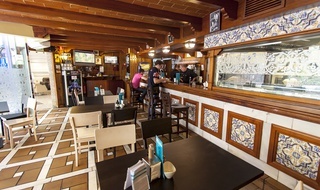 Room serviceFor you to enjoy a long list of drinks and meals. RestaurantsIn the neighbouring Nuevo Torreluz Hotel.